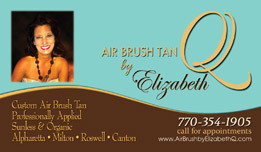 Airbrush Tan by Elizabeth Q is the premier spray tanning salon in the Atlanta Metro area. 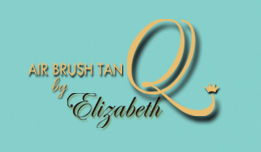 Elizabeth Q is chosen by Hollywood Actors and Actresses visiting Atlanta, Casting Directors, Models, Body Builders, Reality Television Stars, Politicians, and those whose success depends on the way they look after a spray tan. ADS Marketing Group was chosen to create the brand image and logo, develop their marketing strategy and plans, create marketing materials, design and manage the website, manage all social media, promotions and events.